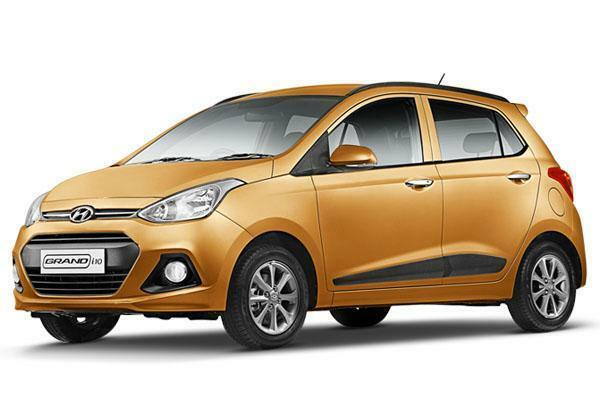 India’s 2nd largest car-maker, Hyundai Motors India Limited (HMIL) has launched a CNG fitment option with DEDST (Dual ECU Dynamic Sequential Technology) for the Hyundai Grand i10 and Hyundai Xcent. The DEDST features separate injectors that assists the drivers with a linear flow of gas resulting in a very minimal lag. The car also comes with a mechanism that switches to the petrol engine after the CNG gas runs out. The optional CNG kit also keeps the warranty of the car intact. While the car’s petrol engine delivers 81.86bhp of power, the diesel variant gives out 70bhp and the LPG variant of the car delivers 66bhp. The CNG-fitted Hyundai model churns out 70bhp of power and 10.19kgm of torque from the slightly detuned, but same 1.2-litre Kappa 2 petrol engine on offer. The loss in power bumps up the fuel economy with the Hyundai Grand i10 achieving an ARAI-certified mileage of 24km per kg. The ARAI-certified mileage figures for the petrol, diesel and LPG models stand at 18.9km/l, 24 km/l and 20.3 km/l respectively. The kit is made available on only the petrol variants of the 2 cars across all Hyundai dealerships. The top-end CNG Grand i10 Asta AT would be priced at Rs 7.94 lakh (ex-showroom, Delhi) and the top-end CNG Xcent SX (O) will cost Rs 8.35 lakh (ex-showroom, Delhi).